This workshop is open to non-LaborBerlin members. Previous processing experience is recommended, but not necessary. Globetrotting filmmakers Richard Touhy and Dianna Barrie will be visiting LaborBerlin once again this June to share with us their Chromaflex technique and some of their most recent films. The screening will take place at scope session on Thursday, June 12th. 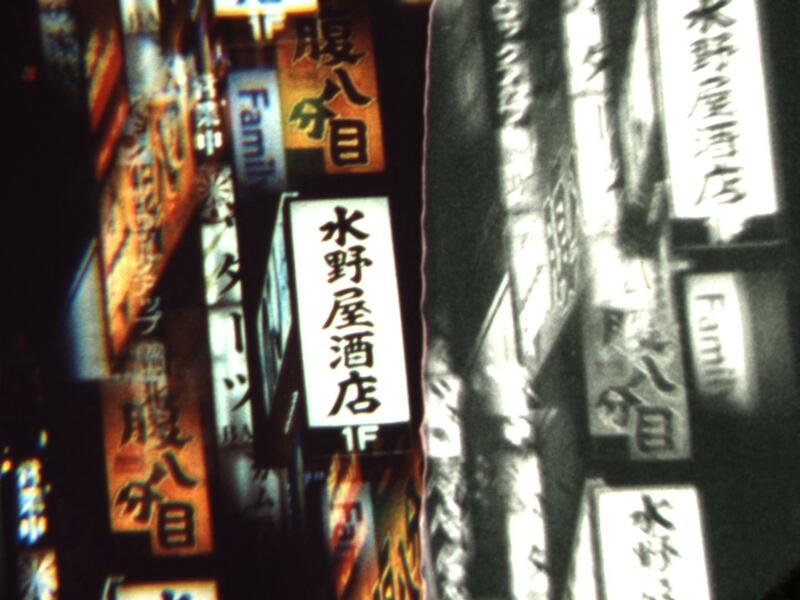 This 16mm workshop will take the participants step by step through a jazzy new photo-chemical technique which allows selectively controlled negative and positive color and black and white images on the same strip of film. What’s more, the technique allows us to make these selection decisions in full light with the images visible right there in front of you. You can have areas of black, areas of clear, color negative areas, color positive areas and glorious black and white images all within a single frame of ordinary camera captured image. We then get to watch the colour chemistry working its magic—again, in full light. The workshop begins with a freshly made color print of color negative material. But instead of processing this print in the normal ECP process, we will be undertaking our novel processing sequence that will produce an odd-looking positive black and white image on the film. We will then select various areas on that print that we want to end up as positive color, negative color, leave black and white or process as black or clear film. Those areas will be selectively covered with special chemical blocking tape. Then the film will be selectively bathed in an assortment of color chemistry before removing the tape and bathing in more chemistry. As well as engaging with a great new experimental film technique, this workshop is a great opportunity to learn in detail how color film works. Check out an example of the process on Vimeo. Instructor: Richard Touhy is one of the most active experimental film artists currently working on celluloid in Australia. His film Iron-Wood won first prize (ex aequo) at the 2009 International Abstract Cinema Exhibition (ABSTRACTA) in Rome. He runs Nanolab in Australia — the specialist small gauge film processing laboratory. He actively encourages other artists to work with cine film through his Artist Film Workshop initiative. In 2006 he and his partner started Nanolab as an artist run film laboratory offering super 8 processing.